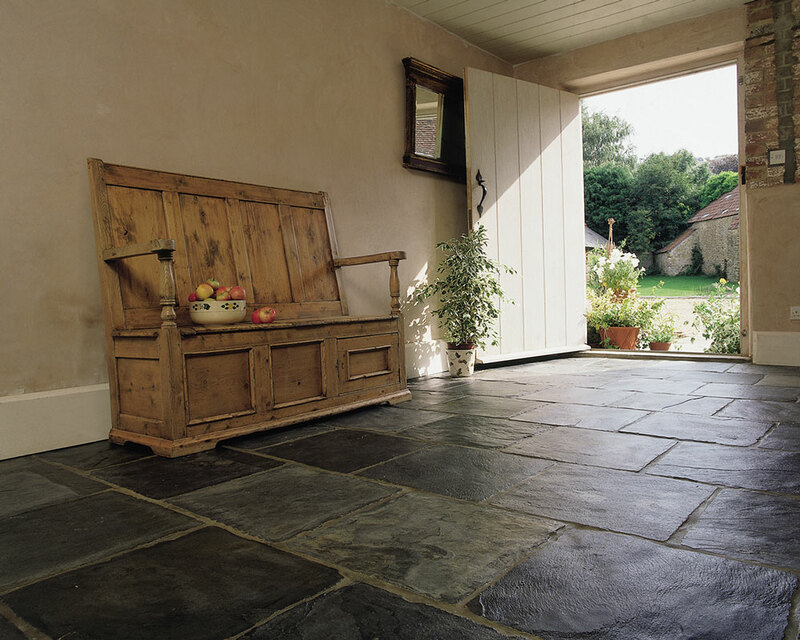 Trevail slate is a solid blue-black slate with a riven finish to create the rustic look indoors or out. 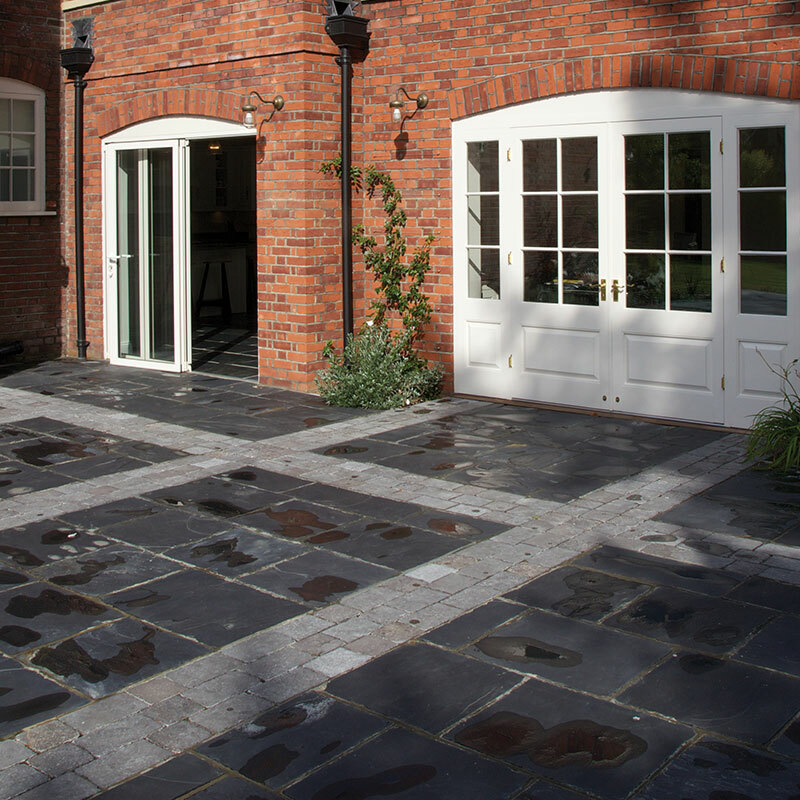 The stone is hand-split, and comes in a variety of large format flagstones so that it can be laid in a traditional, English pattern. 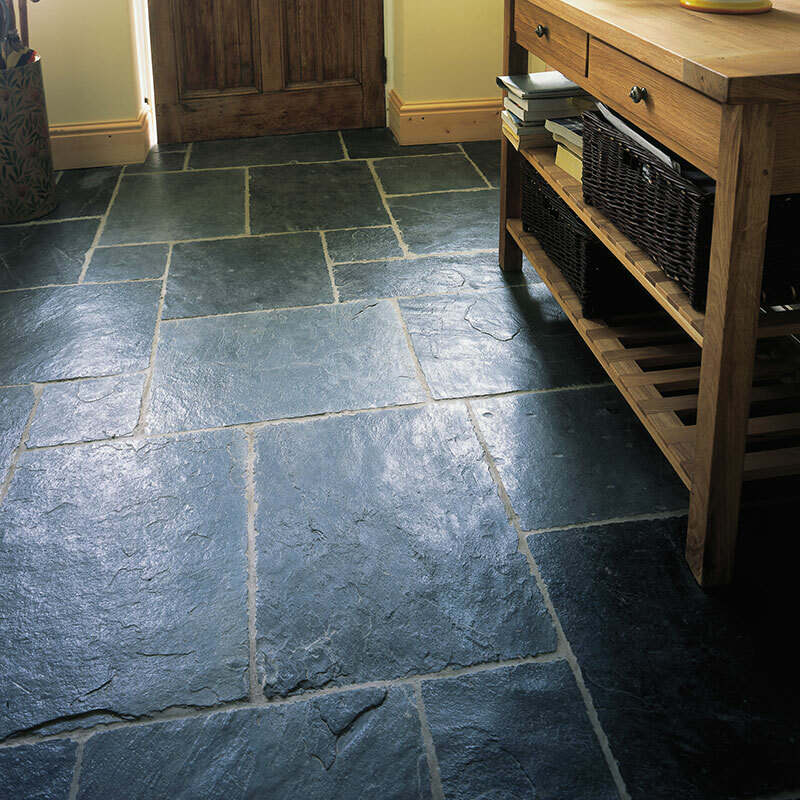 The riven finish is the split or cleft face of stones that are naturally made up of many thin bed or strata layers. 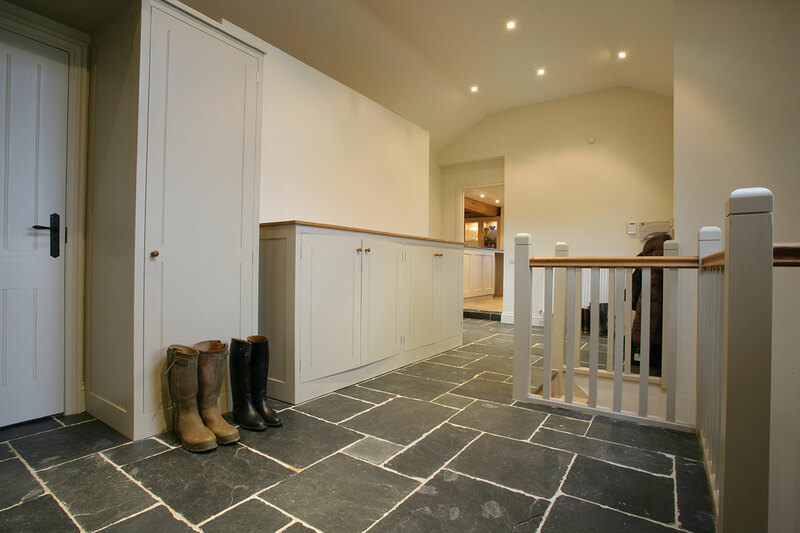 Suitable for interior and exterior floors.